Josephine had an accident that has injured her brain. She no longer seems to have any memory of herself and her family. The doctors have given hope that she will get better – provided she has an operation in the skull to prevent infections in her brain. Josephine's 3-year-old son Abel is very confused. His mother – the one who took care of him all his life – now simply ignores him and pinches him when he comes close. He tries to sit on her lap but she pushes him away and never says anything to him. His sister has been sent away to his aunt's house and his father looks very worried all the time. The accident on March 16 changed Abel and his sister, Anna's life forever. Josephine was returning home from her mother's house on her scooter when she was hit by another vehicle. The police found her on the road, took her to the hospital and informed the family. Josephine was three months pregnant at the time. Josephine gave birth to her baby which died in eight days. But the worst of it is that of all that happened, Josephine remembers nothing. When she finally came to, she didn't recognise anyone. She has difficulty speaking and only manages to mumble unintelligibly. She has violent outbursts and for her caretakers' and her own safety is kept tied to the bed. Her husband Antony is distraught. “I am a driver, and accidents are a reality I live with. But this accident shifted the ground from under me. At first I was thankful that she was hurt only on the head. Only now I see how it has affected and changed her. She doesn't recognise any one and sometimes lashes out at the children,” he explains. While what hurts him the most is his innocent children's shock at their mother's apathy and aggression – Antony has worked himself in heavy debts trying to save Josephine. 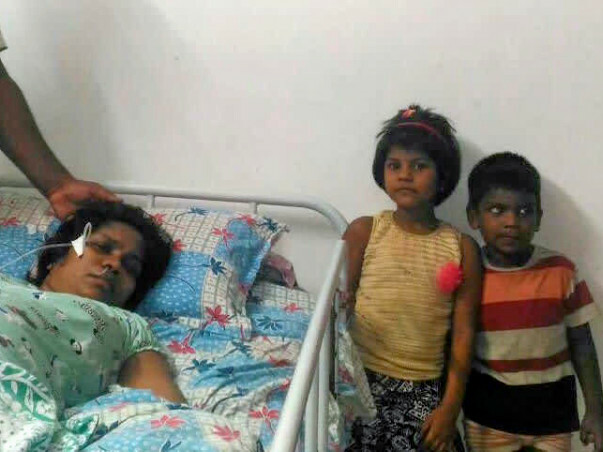 He has already spent over Rs 30 lakhs on treatment – liquidating all their savings and gold. It was money he saved working long hours in the Middle East for his children's education. Josephine is showing some signs of improvement. She was in a coma when her baby was born, but now she is awake and able to move. Sometimes, she even smiles at the children and the sun comes out from behind despair. She even talks when she feels calm and responds when called. 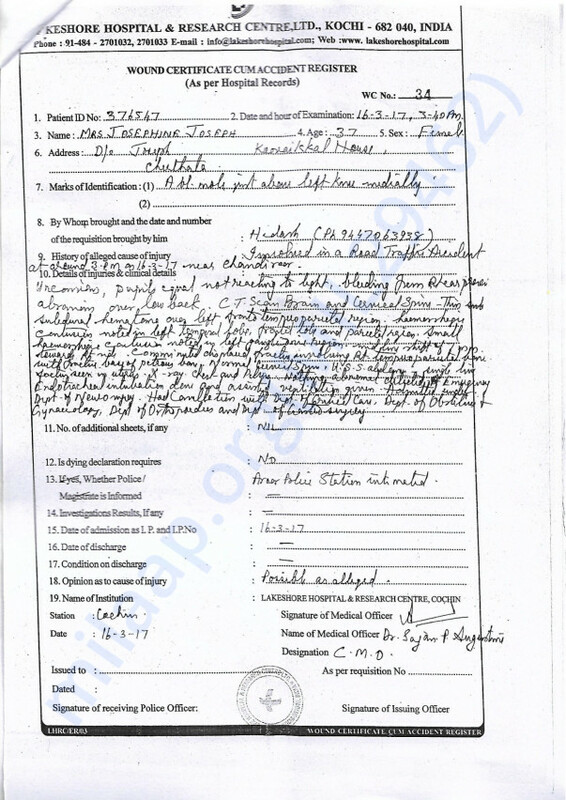 But it is very clear to her family that she does not recognise them. Antony cannot afford a hospital anymore, so he brought Josephine home and kept a nurse to care for her. Even now, he has to work and earn to put food on the table for his family. Also, he makes sure Josephine gets all the medicines she needs – though they are expensive. Her check-ups alone cost about 10,000-15,000 per visit so he has been unable to take her for one for the last month. Antony has two young children and a whole life ahead of him. 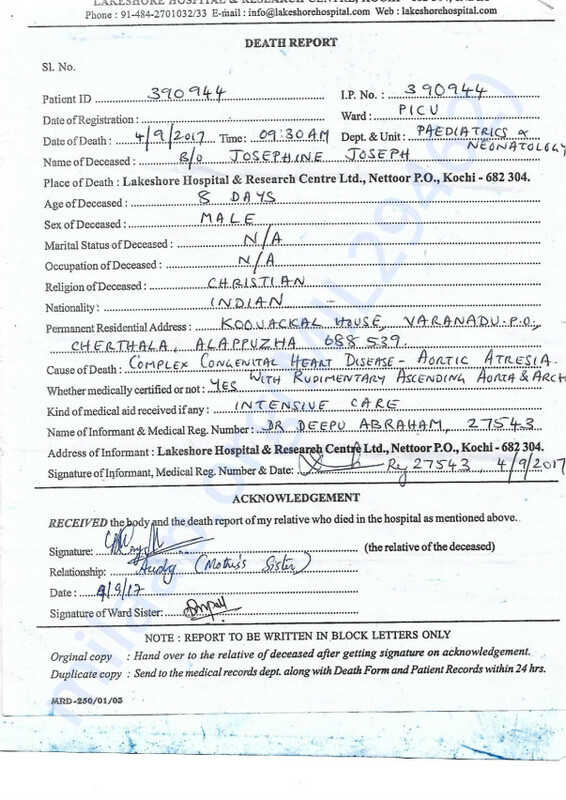 Contribute to help him save Josephine. 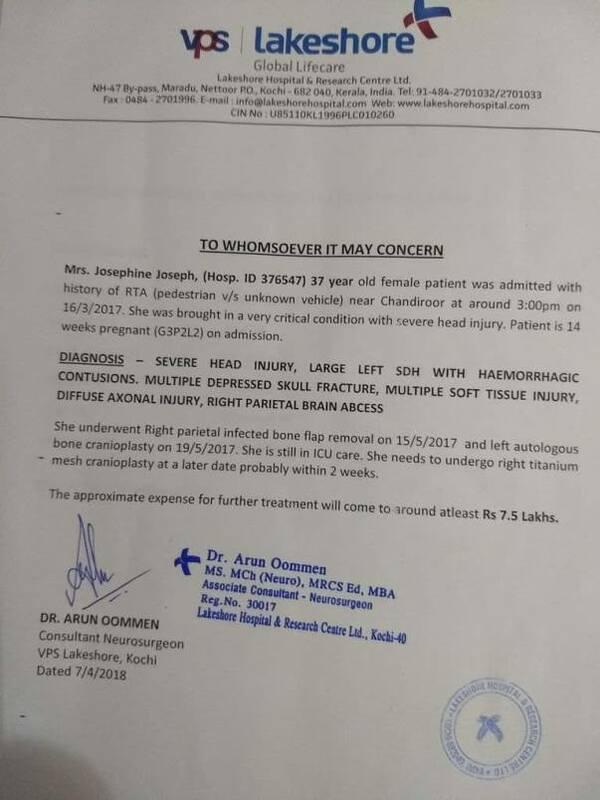 I am a final year law student studying at Jindal Global Law School, Sonipat Haryana raising funds for my driver’s wife, Mrs. Josephine Joseph, who needs to get Cranioplasty done (in this case, skull transplant). I have known them personally since many years. I am doing this on their behalf because they do not have the know-how/skill set to get this campaign up and running. Josaphine has attained full physical strength since the surgery. Unfortunately, she still does not recognize her family and continues to be extremely violent in her behavior, especially towards her children. Her medications are being continued and we hope to see a positive change in her state soon. Once again, thank you all for your generosity for contributing to the cause. The operation was successful. This operation would prevent further infections to the brain. Unfortunately, Josephine’s senses have not returned to her. She has moments of clarity but it fades away quickly. She used to have episodes of fits after the surgery. Fortunately, she has responded well to the after surgery medications and there are no longer episodes of fits. I am happy to share with you that we have raised an amount of Rs.3,41,820 through this campaign. We appreciate your support and contribution to our cause. Currently, Josephine has shown some signs of improvement. Now, she can walk without assistance, though she walks like a drunken person and, is able to have food in a sensible manner as compared to the unmannerly, glutinous and haphazard manner in which she used to take food. There no other progress that is worth mentioning. She is a living dead person with limited recollection and coherence of events occurring around her. 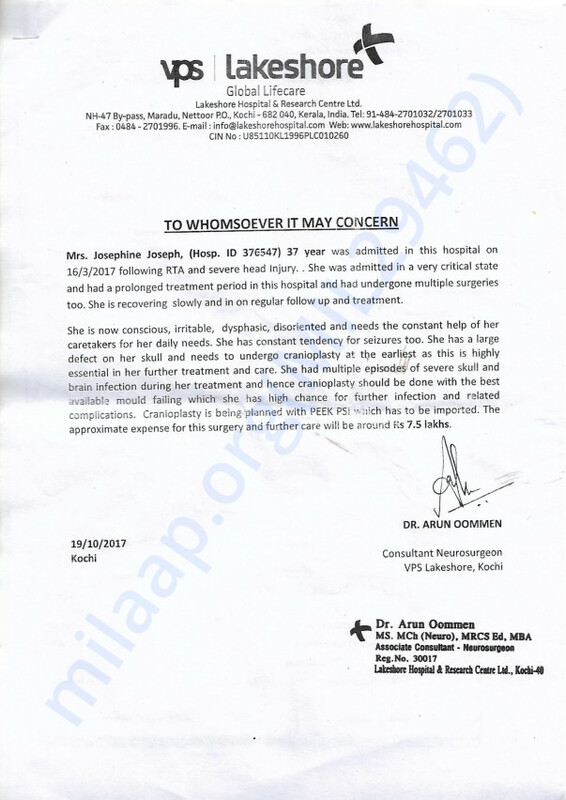 We are hoping for a more pronounced improvement in her state after her surgery, which is scheduled to take place in a couple of days (see document below). May our prayers be with Josephine.